The Streetwise MBA Programme — an executive education programme designed specifically for small business owners who want to grow their businesses – was outlined this morning [Sept 17] at an event at Bermuda College. The programme’s curriculum and goals were highlighted by a number of speakers, including Mr. Philip Butterfield, Director, Bank of Bermuda Foundation, who spoke about the programme’s promotion; Ms. Laura Masulis, Seniors Partnership Manager, Interise, who spoke about the programme’s success in the United States; Mr. Daren Bascome, Managing Director of Proverb and Streetwise graduate, who spoke about creating interest in the programme; and Dr. Duranda Greene, President, Bermuda College, who spoke about the logistics of the programme. Mr. Bascome, a graduate of the Streetwise programme, is now the founder and director of Proverb, a firm that has been successful at anticipating market needs and providing seamless design and technology solutions for companies, government and non-profit organizations. A graduate of the Massachusetts College of Art in Boston, Mr. Bascome began his career building branding campaigns and cultural exhibits, and is currently an appointed overseer of The Boston Museum of Fine Arts and chairman of their Multicultural Audience Development Committee, a director of the Massachusetts College of Art Foundation Board, a board member of Nexus Alliance, and an advisor to Greenrock. 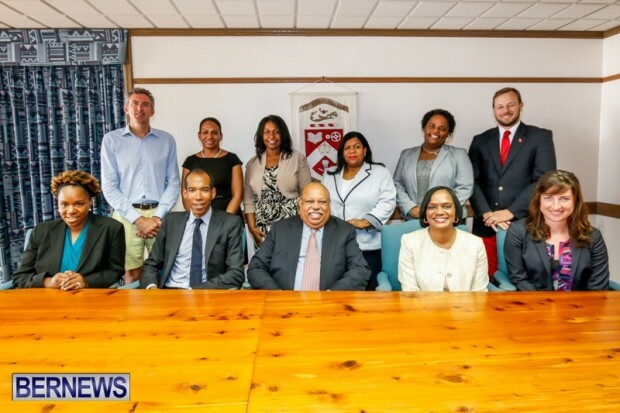 About Bermuda College’s involvement with the program, Dr. Greene said, “Bermuda College is the first international partner of the Streetwise MBA and we are indeed proud to host this innovative new curriculum on our campus. The Streetwise MBA Programme is an executive education programme designed specifically for small business owners who want to grow their businesses. It gives small business owners an opportunity to gain knowledge and experience through an interactive programme that incorporates practical, ready-to-apply tactics shared by fellow business owners and subject matter experts. The programme is facilitated by two instructors who have experience in both running a company and instructing adult learners. Small business owners participate in a series of highly interactive sessions that include sessions incorporating guest expert panelists, CEO mentoring group meetings, and preparation, readings and final growth presentations. The programme requires approximately 100 hours of commitment over seven months, with evening sessions of three hours duration held twice per month. Each participant leaves the programme with a three-year growth plan that has been vetted by peers and business experts and is based on their individual business’ situation and goals. In addition, the participant has gained access to a network of peers and business leaders who can continue to provide support and accountability as the growth plan is implemented. There is a structured selection process for admission to the programme, including attendance at the information session, completion of the admissions application form, an interview by panel, and proof that they’ve been in business for more than three years with at least one employee on the payroll excluding CEO/owner. Dr. Greene added, “The Streetwise ‘MBA’™ programme will begin in January, 2015 and the target audience is small business owners, professional services and those in the non-profit sector. “The College will be launching a recruitment campaign over the next few weeks, including an Information Session on Tuesday, October 28, at 6:00 p.m.We would encourage persons interested to contact Mrs. Constance Smith at the College through the PACE Division at 239-4120. “We’re very excited about this initiative and very pleased to play such an integral role in helping move Bermuda’s workforce forward,” added Dr. Greene. I’d be really interested in attending this, but alas, I have not been going three years and I don’t employ anyone ….. I wish you every success as you grow your business. Wait so is this or is this not an MBA? I imagine the owners of many old enterprises are rubbing their parts and heads. Black Horse tavern owners all had MBA’s. No, it’s not an MBA, but it is trying to hijack the kudos that the real thing carries. Notice the use of quotation marks and trade mark symbol in Streetwise ‘MBA’TM. I’m all for business education, but I hope that nobody believes that 100 hours of study over seven months can ever compete with an MBA from a credible institution: try 2000 to 3000 hours over 12 to 36 months depending on whether it’s a full time or part time endeavor. I applaud the Bermuda College for working with small businesses, but I disagree with endorsing a program that, in claiming the MBA name, diminishes the work that goes into an actual MBA program. You will be sure to hear people say that they got their ‘MBA’ from the Bermuda College and it will diminish the value of both what the program does deliver and the Bermuda College.